Transcript of "For the Birds" for 7 November 2014. Listen here. The story quoted Trumpeter Leroy Jones, who said that mockingbirds "pick up everything — essentially, they mock everything that they hear." He said that he's heard them making that distinctive note pattern. "He's probably heard that — being, you know, in the neighborhood. And he's emulating what he's heard." But Peter Yaukey, a geography professor at the University of New Orleans and its resident ornithologist, thinks that musicians got the phrase from the mockingbirds. "That particular whistle sounds very much like the phrases a mockingbird would use," Yaukey says. "It's repetitive. It's got the right pitch. It's got the right amount of substance to the notes." Yaukey apparently hasn’t spent too much time listening to mockingbirds away from New Orleans—I’ve not heard that exact note pattern in most places. Mockingbirds don't have any kind of an instinctive song pattern. Each bird creates his own song out of the sounds he's heard somewhere during his life. I can hear the distinctive notes of a Black-capped Vireo when listening to mockingbirds in the Wichita Mountains in Oklahoma, but not in mockers in Florida or California. They mimic traffic and machinery noises, car alarms, pure notes, and anything and everything in between, including what they pick up from street musicians. NPR quoted ornithologist Kim Derrickson, of Loyola University in Baltimore, who studies mockingbirds. He says perfect fourths are pleasing to people — and maybe birds, too. "I think that there are certain sounds that kind of propagate through the environment and sound good." 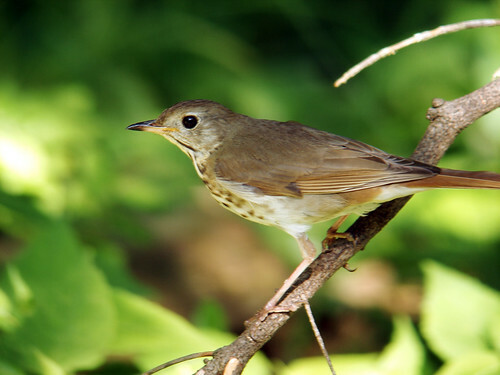 Interestingly, this week a study published in the Proceedings of the National Academy of Sciences concluded that the melodies of Hermit Thrushes employ the same mathematical principles that underlie many Western and non-Western musical scales. By analyzing spectrograms of 71 songs containing 10 or more notes made by 14 of the birds, they found that 57 of these songs closely resembled what musicians term a harmonic series. Some news organizations reporting on the paper make a claim far beyond what the actual researchers wrote, stating that this is the first time this has ever been seen in any animal outside humans. The patterns the researchers found are indeed fascinating, but noting that birds and humans use similar musical note patterns is exactly what what the story about mockingbird note patterns in New Orleans was about. 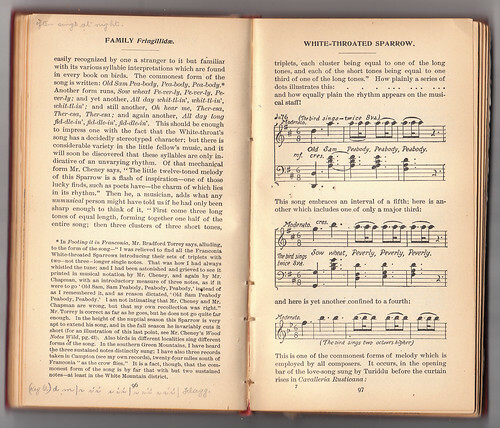 Indeed, back in 1904, F. Schuyler Mathews wrote a book, Wild Birds and Their Music, in which he transcribed a great many bird songs using musical notation. People have been listening to bird songs and other natural sounds since beyond history—it would be surprising if our music didn’t share qualities with the very music we were hearing as we were vocalizing our own primitive first songs and creating our first musical instruments. 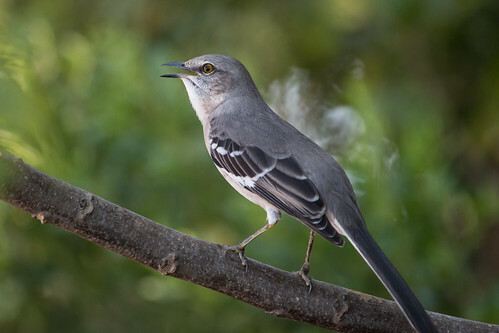 The avian syrinx is a much more complex organ than our larynx, so we can’t imitate a great many bird songs, but it’s lovely to think about how much we picked up from them, and fun to realize that in return, mockingbirds imitate a lot of our sounds as well. You can't blame them for gravitating to strains they hear from New Orleans musicians—those sounds are indeed much sweeter than those from chainsaws and car horns. What a delightful post, Laura! I'm a music theory professor at the Cleveland Institute of Music, and I absolutely think that humans learned their first pitches and melodic fragments from the birds around them. I also firmly believe that we should respect and protect our first teachers!